Sumac is the fruit of a shrub that grows in dry, rocky places. 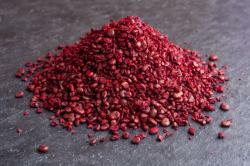 The berries are dried and crushed to a deep, wine-red powder and used as a spice. Delicious spice that has more than 250 species grows in Azerbaijani regions such as Guba, Lankaran, Mingachevir, Sheki and Zagatala. Sumacs are shrubs and small trees that can reach a height of 1–10 m (3.3–32.8 ft). They are spirally arranged and are usually pinnately compound. The flowers are in dense panicle or spikes 5–30 centimeters (2.0–11.8 in) long, each flower very small, greenish, creamy white or red, with five petals. Antioxidants are one of the biggest health benefits of the spice. It neutralizes the free radicals that can cause cancer, heart disease, and signs of aging. 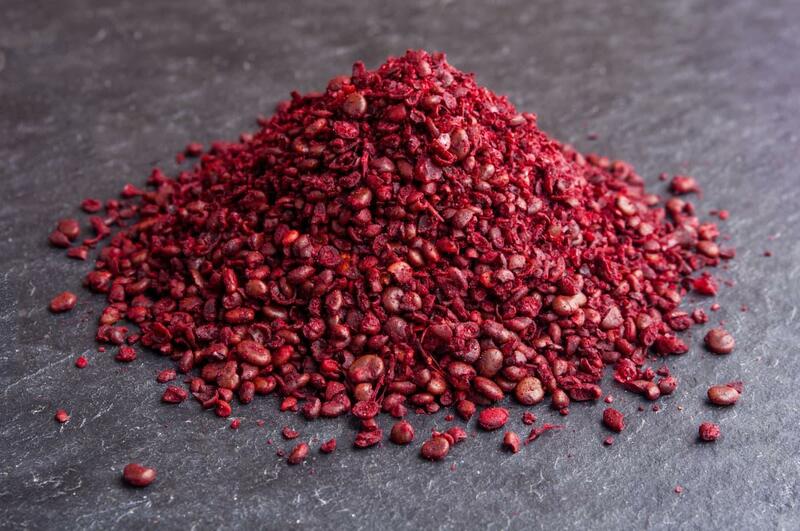 Sumac is full of Vitamin that protect body from degenerative diseases including cardiovascular diseases, stroke and diabetes. The plant has also good anti-inflammatory properties. It helps in reducing fever. The spice works great for arthritis, skin inflammation, and respiratory problems such as bronchitis, colds, and flues.